Kendra leads a team of over 35 active coaches. 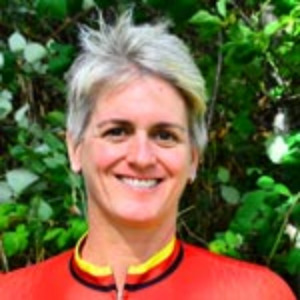 She specializes in up-and-coming elite cyclists in road, CX, MTB XC, and endurance track. She also rebuilds athletes who are coming back from overtraining, illness or injury. Kendra and the coaches of Wenzel Coaching solve your riding issues and improve performance through affordable monthly programs starting at $99 per month depending on coach choice and program level. Kendra specializes in up & coming road, MTB and CX racers who are entering into national competition as well as rehabilitating those who have been burnt out, suffered chronic fatigue, or been injured. Kendra Wenzel has over 25 years of combined racing and coaching experience. She and the coaches of Wenzel Coaching cater to all levels of cyclists, triathletes and runners. "I look at an athlete's total competitive picture, working on training, nutrition, tactics, weight optimization, mental training and the other factors that play into performance." Kendra was a professional racer for 14 years, mainly on the road but also on the track, mtb and cx. She has coached national champions, world championship team members, and riders who have won and placed and international stage races. She uses a blend of experience and technology, continually monitoring her clients' progress. As a full-time professional coach, she has the ability to respond quickly to her clients' needs. Clients who work well with Kendra are those who are taking the step to make their cycling goals a priority in their life. Success. Coach Kendra Wenzel has been notified of your message.